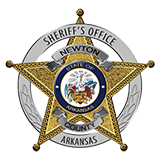 On Sunday, May 15th, at approximately 11:23 A.M. the Newton County Sheriff’s Office received a call of young lady falling from a bluff near Hawksbill Crag on the Ozark National Forest near the community of Ryker. Newton County Sheriff’s Deputies, Newton County Search and Rescue, Tri-County Search and Rescue, BUFFSAR, Mennonite Disaster Services Search and Rescue, U.S. Forest Service, National Park Service, Harrison Fire Department, and North Arkansas Regional Hospital E.M.S. responded to the area. Bystanders and other hikers had already arrived with the victim, later identified as Jessamy Samuels, aged 19 of Rogers. When rescue personnel arrived they determined that Samuels had no vital signs. She was later pronounced dead at the scene by a Deputy Newton County Coroner. According to other hikers, Samuels was at an area of the bluff line just east of Hawksbill Crag when she hopped down from atop a small boulder and lost her footing, stumbling and falling from the bluff. Samuels fell approximately 100 feet. A manpower-intensive operation that required dozens of personnel and utilized high angle rescue equipment then took place to raise Samuels’ body back up the bluff. Approximately 50 rescue personnel took part in the overall operation.